The FCC voted to repeal net neutrality and let big cable companies control the Internet. But after millions of us flooded Congress with emails and calls, the Senate overturned the FCC’s disastrous decision. Now we need the House of Representatives to do the same. Tell your lawmakers you want freedom on the Internet now! the principle that Internet service providers should enable access to all content and applications regardless of the source, and without favoring or blocking particular products or websites. 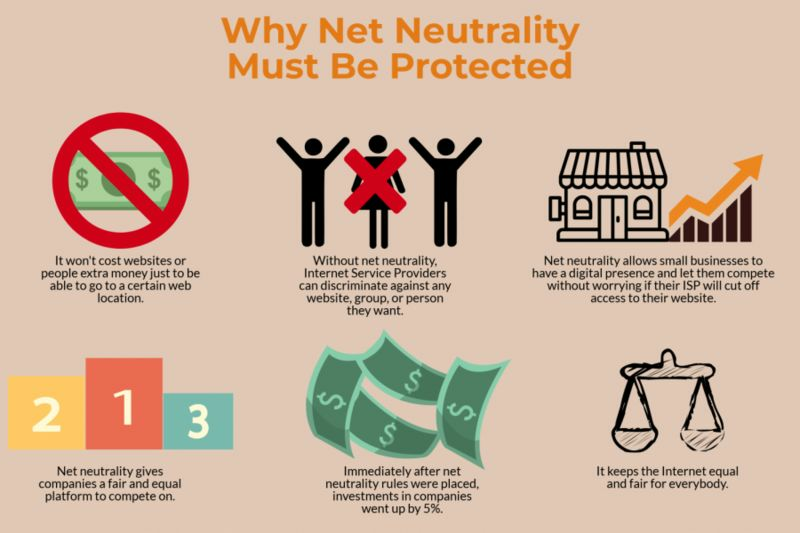 Net neutrality is the principle that individuals should be free to access all content and applications equally, regardless of the source, without Internet Service Providers discriminating against specific online services or websites. In other words, it is the principle that the company that connects you to the internet does not get to control what you do on the internet. Without net neutrality rules in place, ISPs like Verizon and Comcast can prevent users from visiting some websites, provide slower speeds for services like Netflix and Hulu, or even redirect users from one website to a competing website. 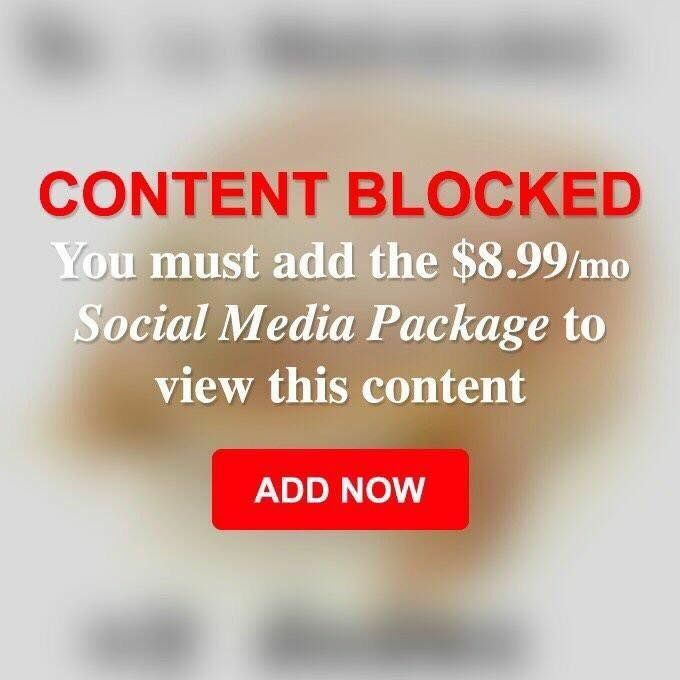 Net neutrality rules prevent this by requiring ISPs to connect users to all lawful content on the internet equally, without giving preferential treatment to certain sites or services. In the absence of net neutrality, companies can buy priority access to ISP customers. Larger, wealthier companies like Google or Facebook can pay ISPs to provide faster, more reliable access to their websites than to potential competitors. This could deter innovative start-up services that are unable to purchase priority access from the ISPs. Also, if ISPs can charge online services to connect to consumers, consumers would ultimately bear these additional costs (for example, on their monthly Netflix bill or in the cost of products from a local online store). In January 2014, as a result of a Verizon lawsuit, the D.C. District Court struck down the FCC’s net neutrality rules. While the Court made clear that the FCC has authority over internet access generally, it found that the open internet rules specifically were built on a flawed legal foundation. The decision left it open for the FCC to decide what to do next to reestablish net neutrality. In May 2014, the FCC, led by Chairman Tom Wheeler, introduced its proposal for net neutrality rules, which detailed the problems that occur when ISPs get to choose winners and losers online, but still allowed for fast lanes and slow lanes online, and did not go far enough to establish meaningful net neutrality. The FCC accepted public comments on this proposal, and received a record-breaking 4 million comments calling for reclassifying broadband as a Title II telecommunications service. This updated classification would allow the FCC to enforce net neutrality and would be in line with the court's 2014 decision. In response, President Obama endorsed Title II for net neutrality in a video in November 2014, and FCC Chairman Tom Wheeler published an op-ed proposing Title II authority, including for the first time mobile broadband protections, in February 2015. On February 26th, 2015, in a historic vote, and after an unprecedented outpouring of public support, the FCC voted to pass the Open Internet Order, enacting the strongest net neutrality rules in history. By embracing its Title II authority and creating clear, bright line rules against blocking and discrimination, Chairman Wheeler and the FCC earned a reputation as defenders of the Open Internet. The decision faced multiple legal challenges from the wireless and cable industries, but the D.C. Circuit Court of Appeals, the same court who originally sent the rules back to the FCC to be reworked in 2014, upheld the FCC's rules in June 2016, and denied petitions to reconsider its decision in May 2017. Commissioner Ajit Pai was appointed Chairman of the FCC in January 2017. In response to his plans to eliminate net neutrality, there was a public outcry in support of net neutrality that was even greater than what the FCC had experienced in 2015. Despite this, Chairman Pai circulated his proposal for repeal in November 2017, and the proposal was passed in December 2017, overturning the Open Internet Order. Luckily, thanks to public support, the Senate passed a CRA resolution of disaproval in May to overturn Chairman Pai's decision, and now the House of Representatives is preparing for the same vote. Public Knowledge continues to fight for Title II classification of internet access service, which is the only way to have strong net neutrality rules that allow customers to have a reasonable expectation of consistent, reliable, and nondiscriminatory services. Contact Congress at publicknowledge.org/SaveNetNeutrality and tell your representative to use the CRA to restore the Open Internet Order. In the House, we’ll need 218 lawmakers to sign on to a “discharge petition" in order to force a vote past leadership to the floor. That means we’ll need to convince all the Democrats and about 25 Republicans to support the CRA. The clock is ticking — if the CRA resolution doesn’t get a vote this year, it dies when the new Congress comes into session. When millions of people call and email their representatives, Congress listens. That’s why we developed a widget that website owners can place on their site, giving their site’s users the opportunity to contact Congress. And we’ve created art assets that will allow individuals to spread the word on powerful social media platforms. It’s important for lawmakers to see the people who support net neutrality. We’ll help schedule in-person events, protests, meetings, and canvassing to mobilize constituencies (like veterans) that move republicans. In Washington, money talks. So lawmakers listen to the small business owners in their districts because those business owners are vital to the local economy. We need to reach out to small business owners to ask them to sign our petition in support of net neutrality, then we hand-deliver this petition to our politicians. Voters from across the political spectrum agree: they don't want their cable company to control what they see and do online. The FCC's reckless repeal of net neutrality has sparked an unprecedented backlash, as millions of Americans have contacted their lawmakers in protest. The numbers below represent actions taken through BattleForTheNet.com and its partners. Many more have taken action on other sites or contacted their lawmakers directly. To help convince the House, contact congress now and add to these numbers.